Be Disney villain chic! 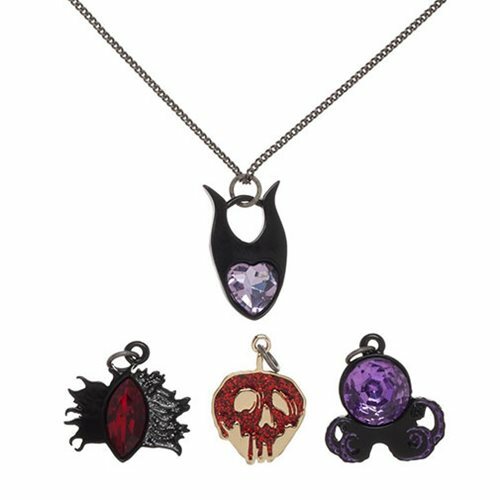 This Disney Villains Interchangeable Charm Necklace is made of zinc alloy and includes 4 charms representing Ursula, Maleficent, Evil Queen, and Cruella De Vil. Pick your favorite or wear them all! Measuring approximately 18-inches, the necklace comes packaged on a hang card. Ages 14 and up.